Now there are more options, more freedom, and more choices than ever for residents when it comes to deciding between senior living communities. In making the transition from private residence to a senior care home as smooth as possible, it’s important to make sure the community is as comfortable and decorated as precisely as possible. So owners and operators of senior living communities today are placing a higher priority and larger investments behind design. But, how do you decide what type of interior design firm to choose? Is a small interior design firm, or a larger design firm right for you and your business’s needs? Take a look at some of the pros and cons of hiring a small interior design firm vs a large one. Smaller design firms can process work faster, and be more quick and nimble with requests. If you are looking to get a project done in a short amount of time or with a highly responsive partner, then a smaller firm will be a great fit. You’ll also have more direct access and a greater personal connection with your designers at a smaller firm, which also results in more personal attention for your project. There’s less risk of being “sold the A-team” and then working with “the B-team”. With fewer employees, you’ll have top talent on your account and can feel confident in knowing who is on your team. When hiring a small, specialized interior design firm, you get the experts in senior living. Designers who specialize in this field and have years and years of experience working in that niche. Smaller teams need to choose clients selectively to manage workload – therefore you may not be able to work with a smaller team right away. With larger companies, there are more designers and resources, which means multiple brains working on a project. With larger scale brands, there is more “clout,” where you can include that a particular firm designed it. With larger design firms, it can move a bit slower by nature. More people are working on projects means more processes, procedures, and levels of approval. The bigger the firm, the less personal attention the customer gets. When there are large firms with a lot of moving parts, it can be hard to give each client the particular attention they deserve. With larger firms, this generally means that leadership is less available for account teams. If you need to get in touch with a CEO or VP of the firm, they may be hard to reach. And there is a smaller chance that the lead designer(s) will be as active on your account. A larger firm means that they may not specialize in Senior Living. When designing a senior living home, you want to make sure you have designers that know the industry and have experience in the field. 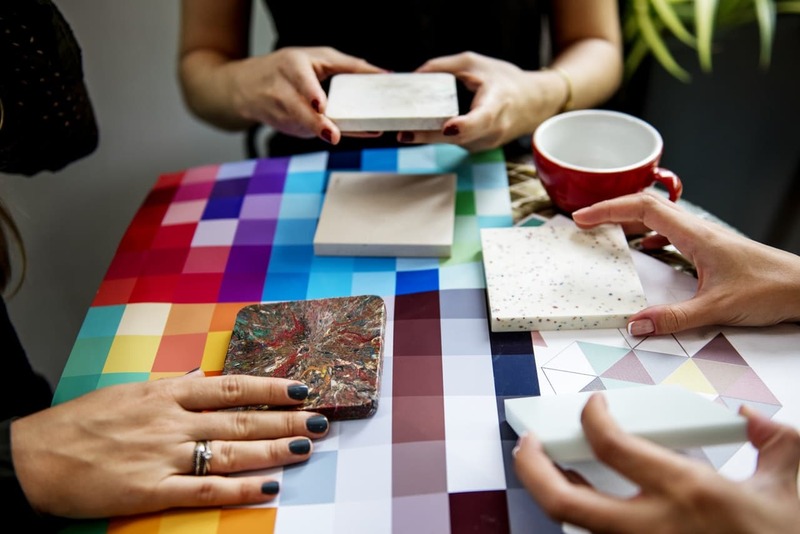 We know that it can be a difficult decision in picking an interior design firm and want to make sure to provide all of the resources possible to assist in making that decision. If you have any questions on if a selecting a senior living interior design firm, don’t hesitate to reach out!